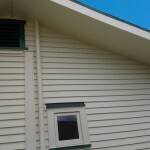 We have the experience and knowledge to clean the exterior of you house the right way. Whether you have a brick and tile house hardi-plank or plaster home,we take care of the job from start to finished no matter what the building structure is. Maybe your house or building is showing signs of neglect or maybe its that time of the year to give it that extra bit of tender loveing care. If so, call me today for your free quote. I personally guarantee all of my work, providing an all-round service that I will satisfy. Soft washing is an exterior house cleaning technique that utilizes low to no pressure to clean your investment. Soft washing is important because we can successfully clean the exterior of your home ensuring we will NEVER damage the property. Soft washing uses as much pressure as the water from your garden hose. We utilize non-hazardous and eco-friendly detergents that do majority of the cleaning. Then we just rinse down your home to remove the bacteria, algae, and mould from your siding. 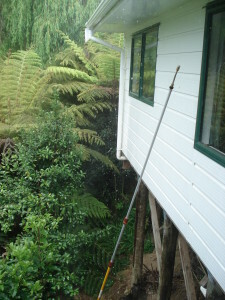 Don’t hire a company without any experience in soft washing techniques to clean your Auckland property! You will be asking for trouble.. A normal pressure washer can run from 2500 to 4000 PSI.. You need a professional soft washing company to use soft washing techniques that ensure your property is safe and will not be damaged or harmed.